Everything we put on our skin matters. 60-100% of everything placed on our skin is absorbed into our lymph and blood stream, which then circulates through all of our organs. You wouldn’t consciously put carcinogens and endocrine disrupting chemicals into your body- so we shouldn’t put them on our skin! My journey to safer skin and hair care products started 8 years ago. After learning about all the dangers of the chemicals in beauty products, including infertility & breast cancer, I ransacked my bathroom and threw out all of my beauty products. I went to my local health food store & stocked up on all new, “green” products. The trouble (for the last 8 years) was finding safe and clean products that still performed well. I might have tried every clean shampoo & conditioner on the market, never finding one that performed like my coveted Pureology. Until now. Beautycounter has changed my experience with safe, clean, natural beauty products- and I love them so much that I decided to join the Beautycounter movement. 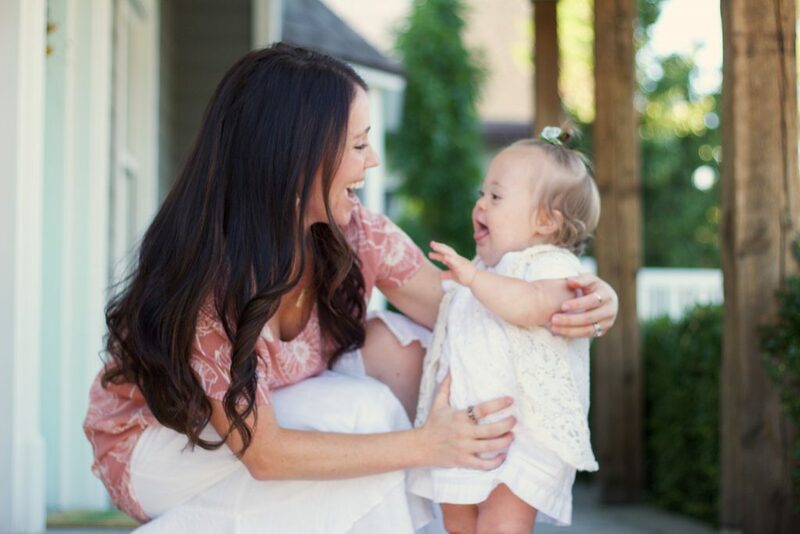 I am excited to share these products with you & share my passion for creating a safer, less toxic world. B says that health is my hobby. While he is probably right, I have many other hobbies that I really enjoy (thank you very much B!) like spending time in the mountains. Hiking, snowboarding, biking, I love it all. Combining exercise with nature is my most favorite past time, next to Indy. My best habit related to wellness is a clean diet. Eating clean has become less about trying to be fit and skinny, and more about creating a healthy life for me and my family. Having Indy has given me more motivation to have a clean life than ever before. What we put on our body matters, & what we put in our body matters! I learned about Beautycounter after posting on Instagram about my passion for clean products. A sweet friend then referred me to Beautycounter, and suggested I give their products a try. I first tried the shampoo & conditioner, and was so excited about the silkiness of my hair (that was always missing with other “clean” products) that I signed up to be a part of the company. I knew I had found a winning brand. Every product thereafter has been just as exciting. I love repping for Beautycounter because, as you all now know, health is my hobby. I love spreading the message of health and sharing ways that people can detoxify their lives. My current daily skin care routine involves my favorite No.1 brightening oil, rejuvenating daily cream, and a tinted moisturizer with SPF 20. At night I remove my makeup with the cleansing balm, tone my face with a rejuvenating toner pad (which has really lightened my melasma), and end with the rejuvenating night cream. My skin has honestly never looked so healthy. Our fertility treatments really did a number on me and I feel so excited that I am able to reverse the hands of time a little bit now. You can enter the giveaway for a spa set from Beautycounter like this one & check out the other bloggers in this group by clicking the link below. You have many options for entering and can do as many or as little as you want. 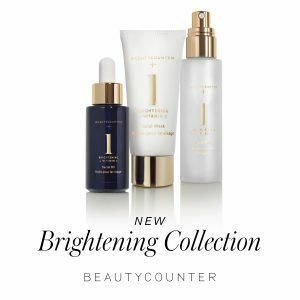 If you would like to check out more products from Beautycounter you can shop with me HERE. Thanks for reading & having some fun with me today my friends!